The most charming beach house. The floor plan is adaptable to so many lifestyle needs. The large “conservatory” style den is a wonderful bonus. 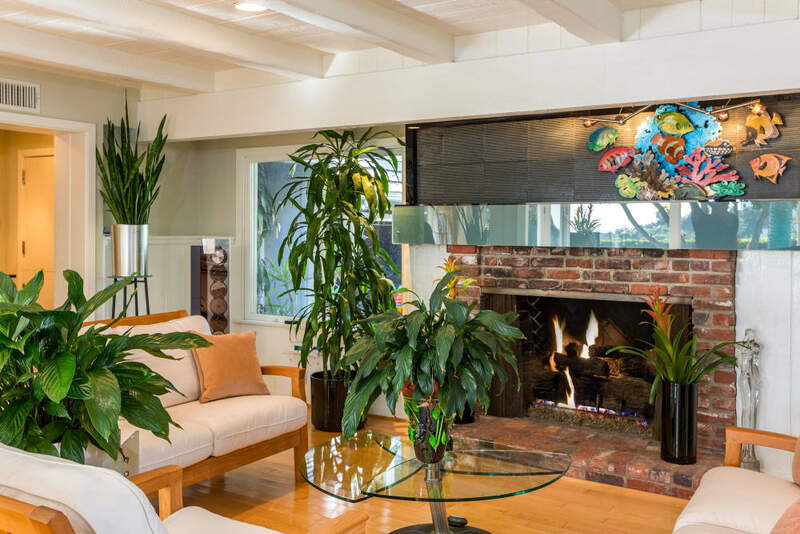 This captivating home was remodeled and transformed into the most charming beach house. "With board and batten ceilings, polished maple floors, and windows to the views, this remarkably inviting home has a relaxed, beachy ambiance." wing, providing a nice separation. The master has a view of an amazing fountain. A cozy guest suite on the upper level and a separate guest/maid’s apartment outside, complete the picture perfect environment. The floor plan is adaptable to so many lifestyle needs. Quiet gardens with tropical flowers, sunny patios, splashing fountains and enviable privacy all add up to the most wonderful vacation home just minutes from the beach. Remodeled kitchen is a cook’s delight.